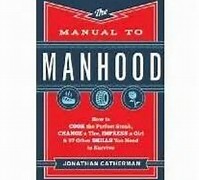 The Manual To Manhood is an extensive “How To” book, using step-by-step instruction on everyday need-to-know tasks that are crucial for men. The book is broken into ten sections: Women & Dating, Social Skills & Manners, Work & Ethics, Wealth & Money Management, Grooming & Personal Hygiene, Clothes & Style, Sports & Recreation, Cars & Driving, Food & Cooking, and Tools & Fix-It. These different sections feature profiles of successful men who value manhood and integrity, and whose life stories are woven into the message of every new topic. Each “How To” within the sections begins with a short introduction, which then leads into step-by-step bullet points of how to complete a certain task. Each part ends with a small tidbit or fun fact to keep the reader interested. None of the instructions are difficult, and all of the lessons are valuable to young men moving into manhood. Covers the basics of being a hardworking man of integrity. No crude language or lewdness is used at any time in the book. Catherman references the Lord a few times in the book, but God is not the primary focus of this book.